Life Story Films in Orlando provides funeral video services that will honor your loved one and be a keepsake your family will always hold on to. Our memorial videos provide a lasting tribute your family will cherish. When a loved one has passed on emotions run high. It may be one of the toughest experiences you face in life saying goodbye to your Mom or Dad, grandparent, sibling or spouse. We've been there too and we're very empathetic about what you are going through. We also know that not every family member can make a funeral or memorial service. Videotaping a funeral service in Orlando ensures that you'll have every moment captured from the pastor's sermon to the eulogy and all the hymns. We can fit completely and customize around your requirements, capturing as much or as little of the day as you like. We are fine with very short notice, even if its the day after your call. We are also more than willing to travel anywhere in the state. Each memorial video is edited perfectly to make sure you have a family heirloom to remember your loved one forever. Q. Where will you videotape from? A. We try to be as discreet as possible. We know this is a personal time for family so we'd rather shoot from a 2nd floor looking down where we are out of the way but still have a good vantage point. Naturally that isn't always possible, we try to find a place where we are out of the way but have a good position where we aren't blocked. A. We try to keep our pricing structure as simple as possible. Our most popular service runs $1,200.00. We capture the funeral with one camera, record sound, and edit the video and deliver via DVD (2 copies) or a thumbdrive that holds a Quicktime movie file. 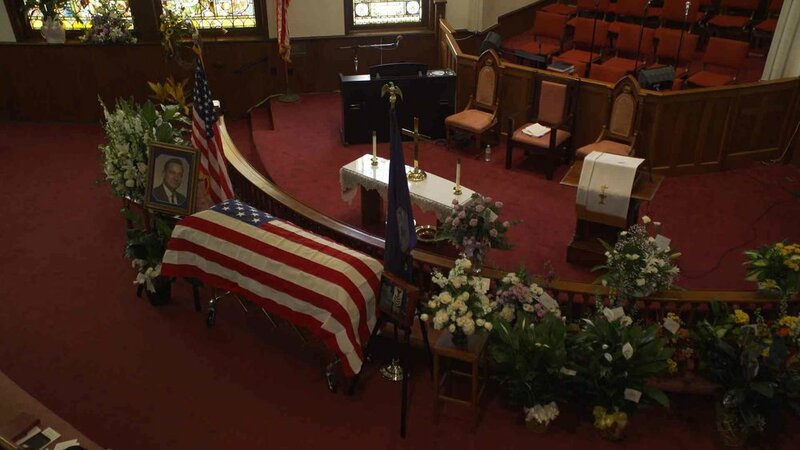 We can also share the file online so that those who weren't able to attend the service can see it. We also offer a deluxe package where we provide a 2-minute picture montage (up to 30 photos) with music (royalty free music background, not a copyrighted popular song), along with the service for $1,800.00. Q. Do you record the gravesite service as well? A. We have found that getting to the gravesite in a timely manner after we strike our equipment, get everything loaded back up into our car and then unload everything again and put a microphone on the attending official at the gravesite can be pretty challenging. We're usually among the last to leave the funeral because it takes us about 10 minutes to pack our gear up. We hate to make promises we can't keep, but we're happy to talk to you about this and work it out if possible. A. We're based in Sanford, Florida and all travel is covered within a 50-mile radius. Additional miles are charged at .53 per mile, as well as time if we are driving outside the Central Florida area.